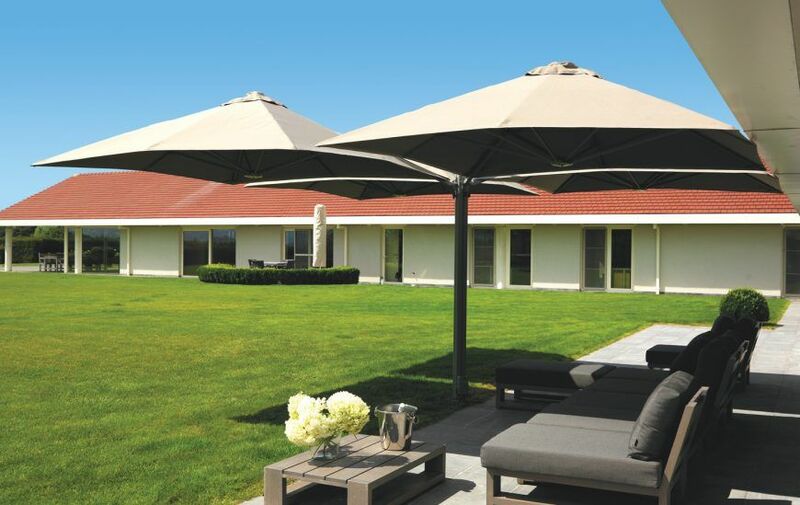 The SU6 range is considered the most robust umbrella of its kind on the market. 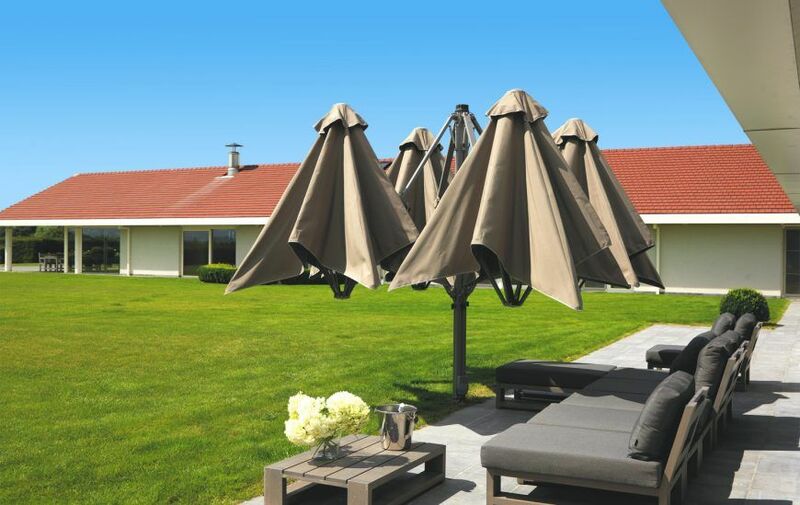 With the ability to mount up to 4 umbrellas on one mast, this umbrella is in a class of its own. 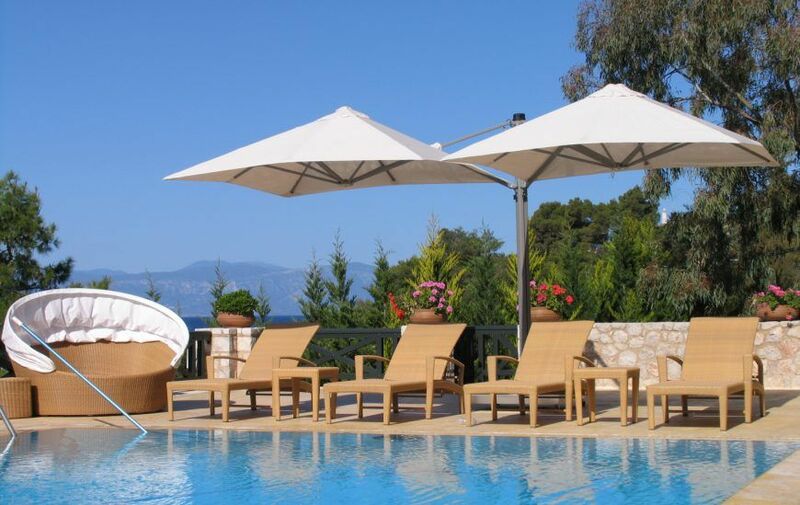 The Duo is our most popular configuration in the SU6 range and is used extensively both residentially and commercially. 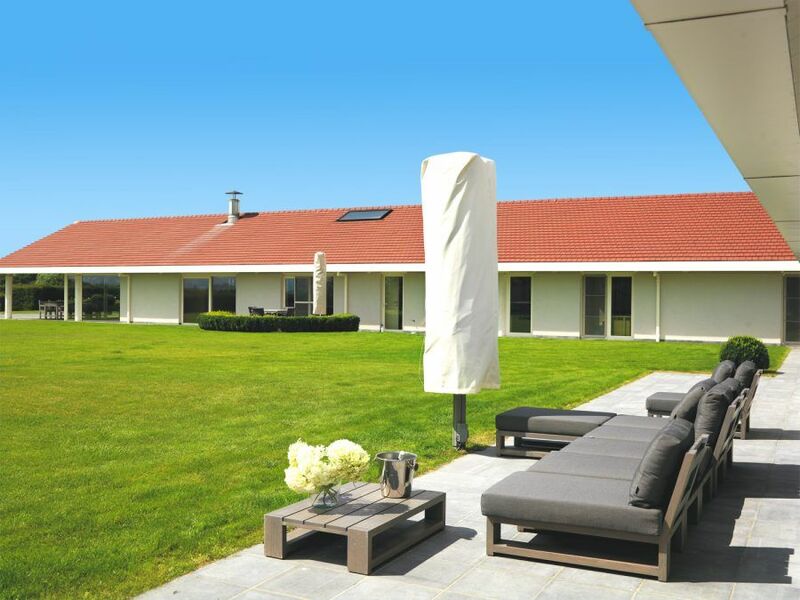 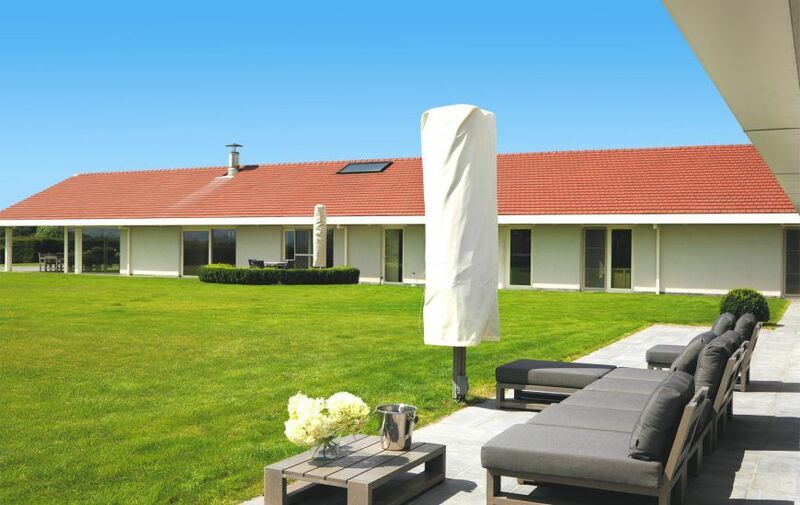 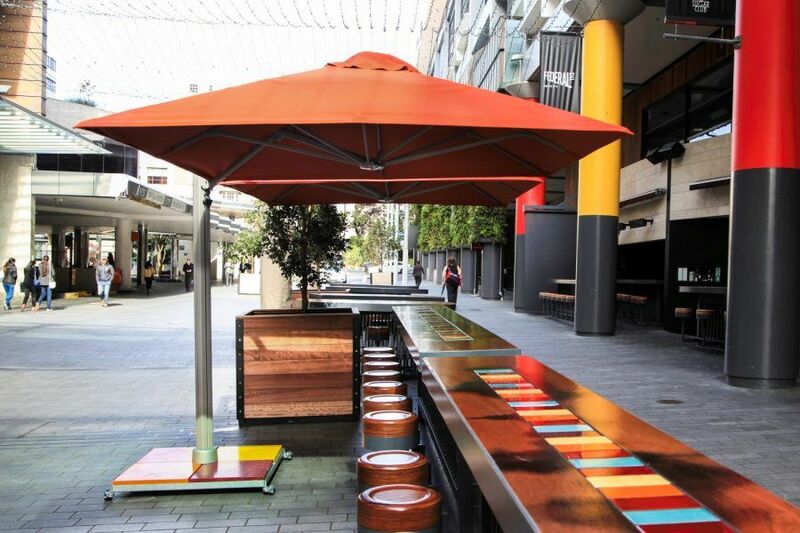 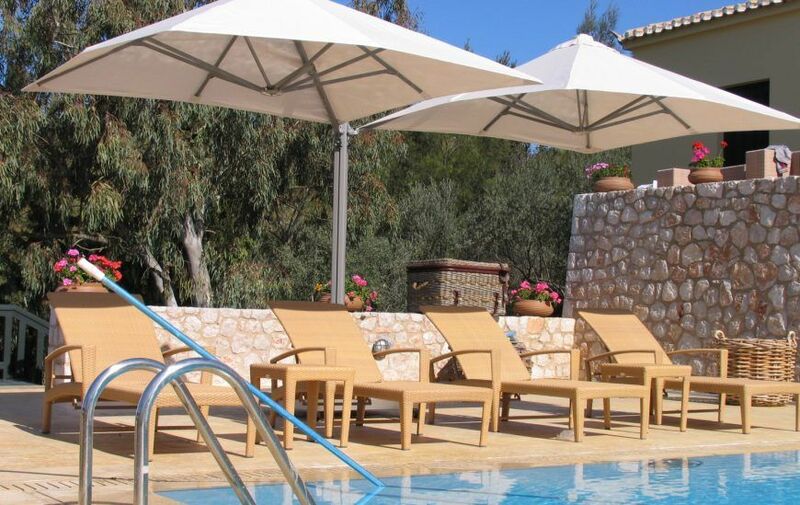 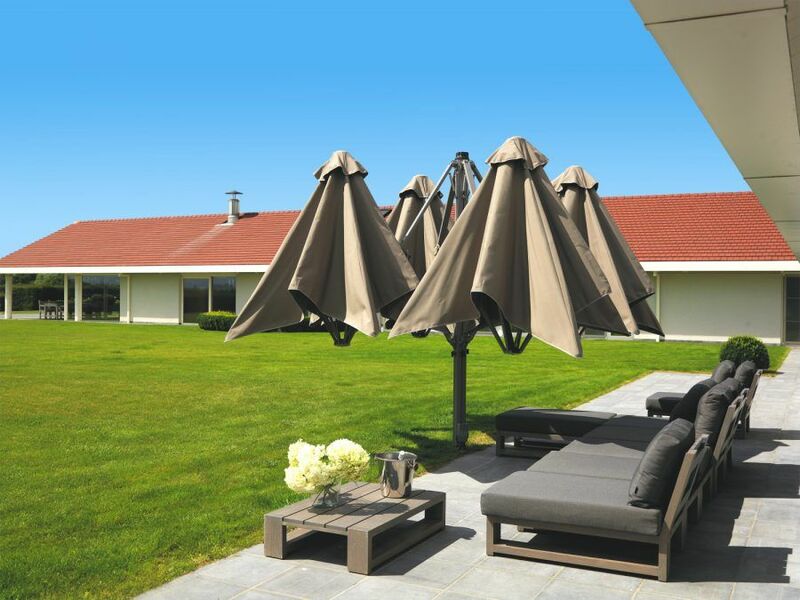 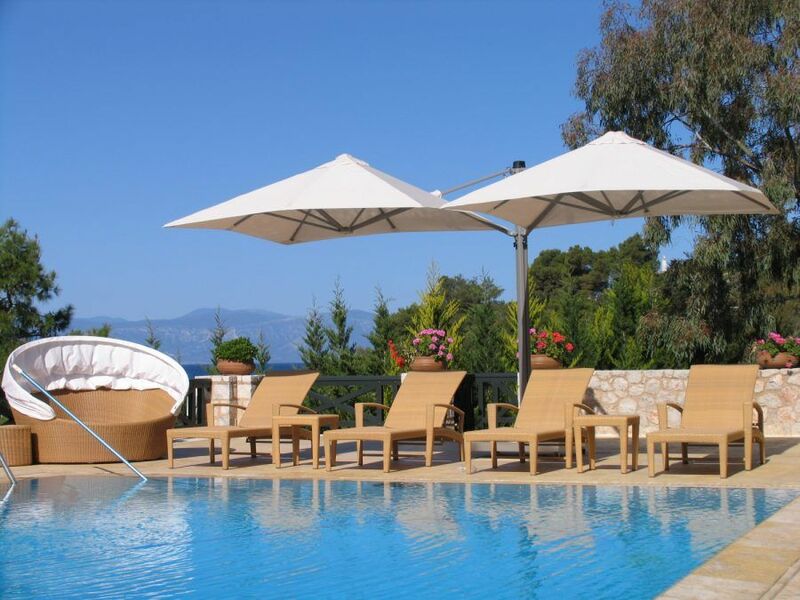 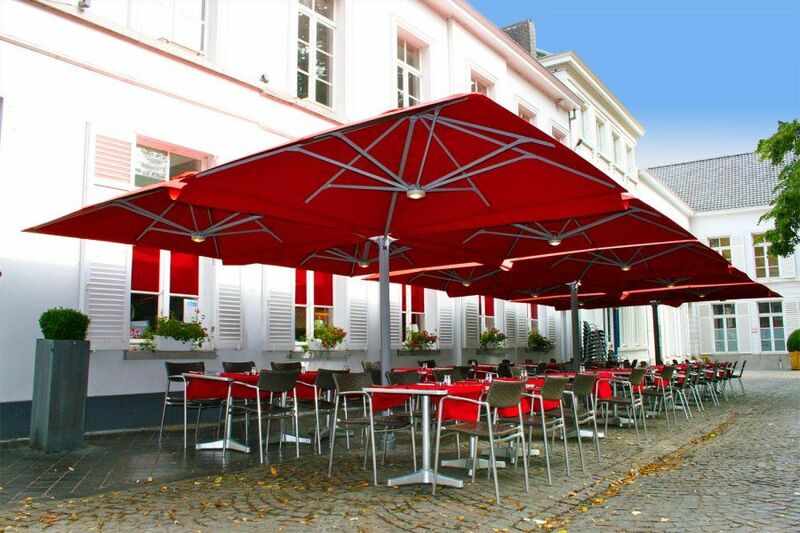 The SU6 Cantilever Umbrellas will not only suitably blend into any outdoor space; it will also greatly enhance the aesthetics of any outdoor space. It can be successfully installed in almost any environment and there is a range of installation options available, including a portable-base, surface pole and in-ground anchor. 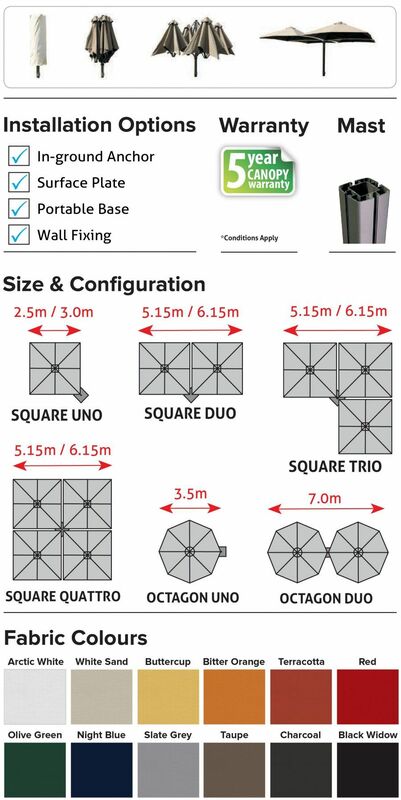 We have diagrams available upon request. 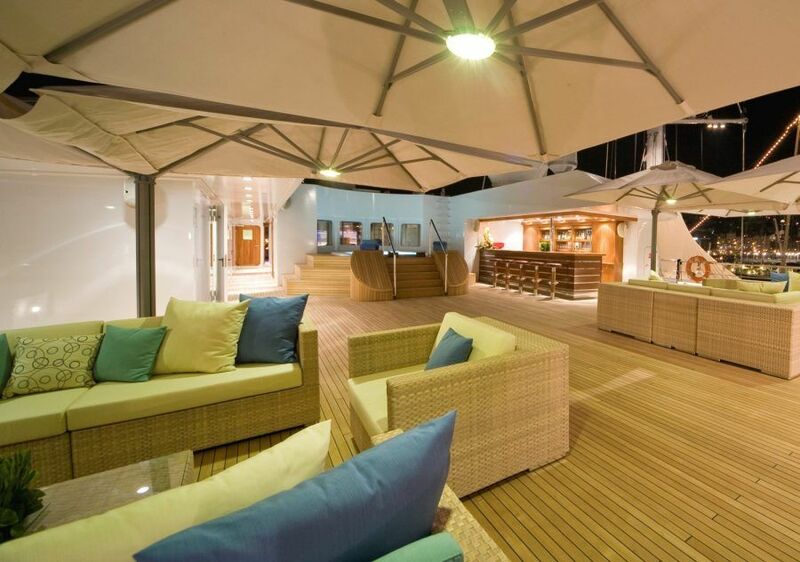 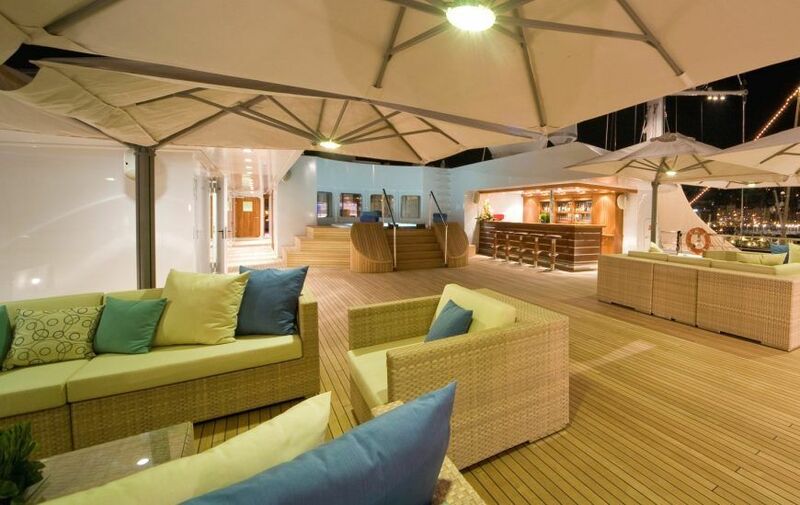 There are three modern colour options to choose from, eggshell, black, and boulder, and the canopies are made from premium solution-dyed fabrics, which are suited for commercial applications. 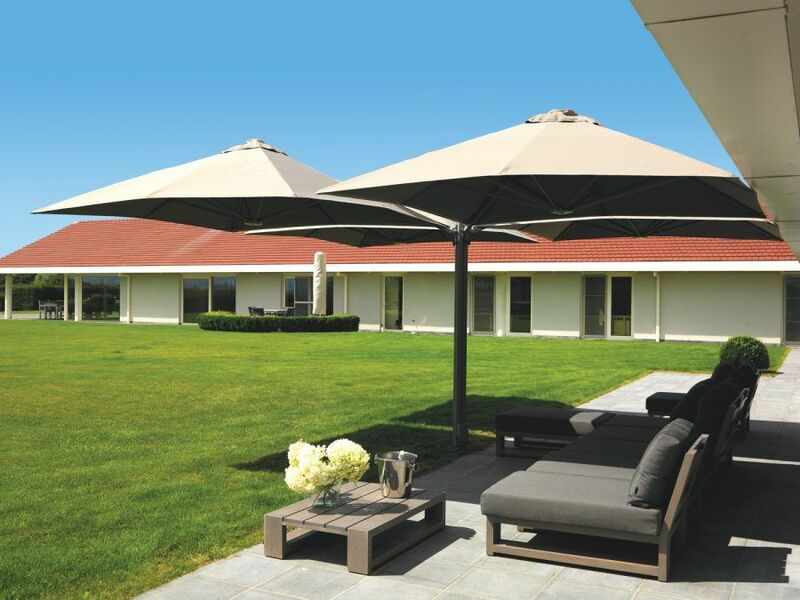 For the ultimate shade solution, choose the SU6 Multi Mast Cantilever Umbrella from Sydney’s leading outdoor umbrellas supplier, Ashayda. 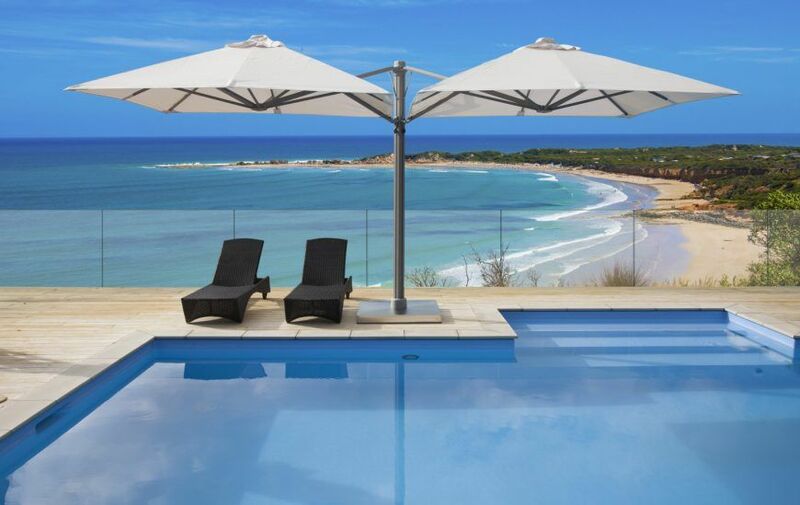 We are locally owned and operated, based in Galston, and service the areas Sydney’s Hills District, North Shore and beyond. 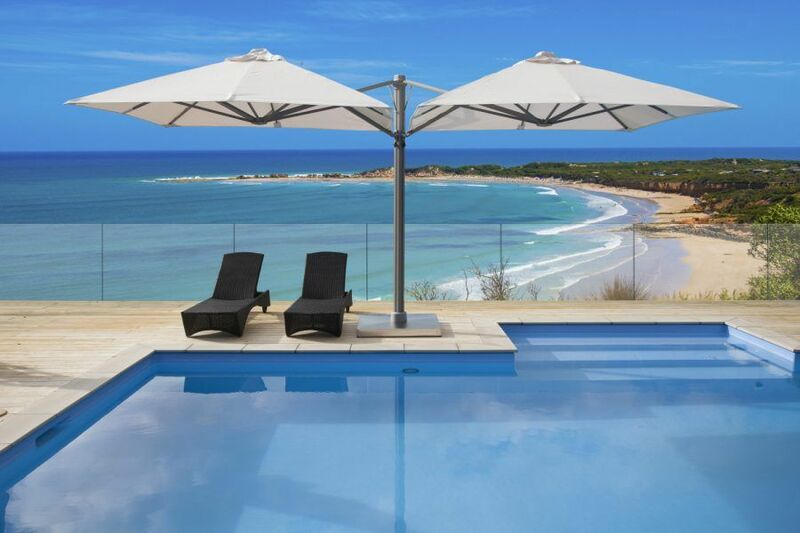 Call 1300 570 901 today for more information on this great product.